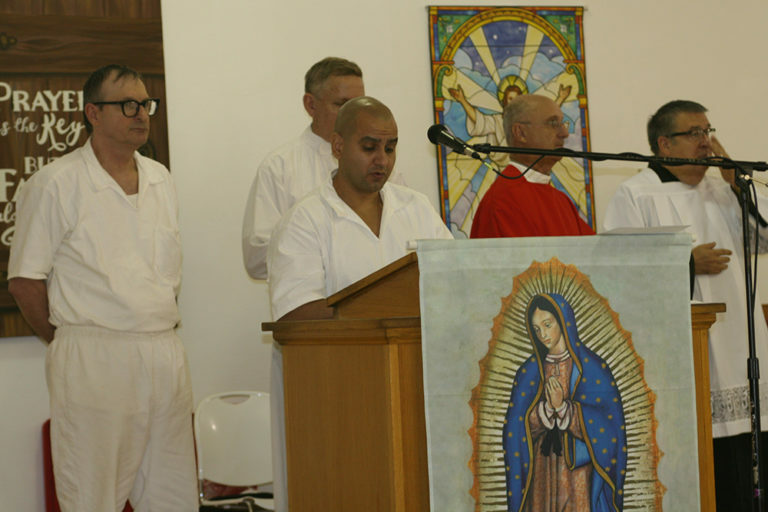 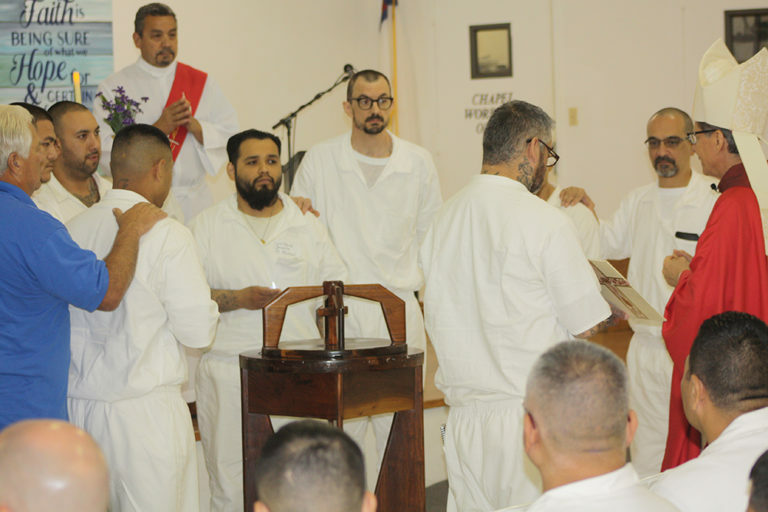 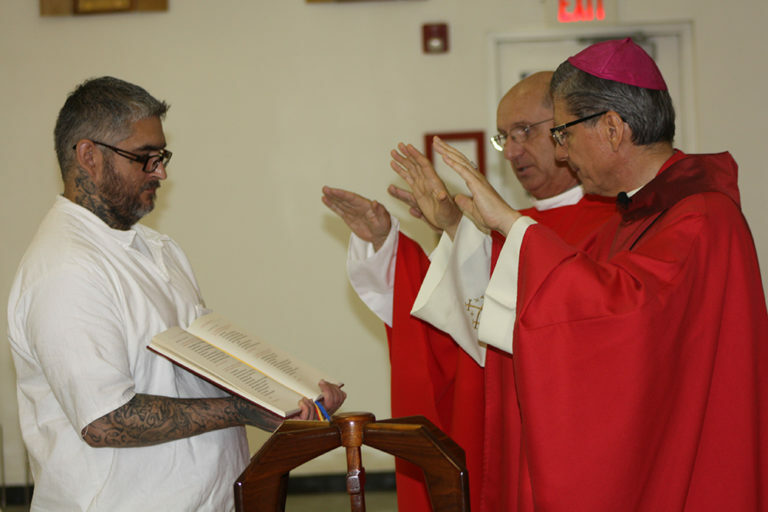 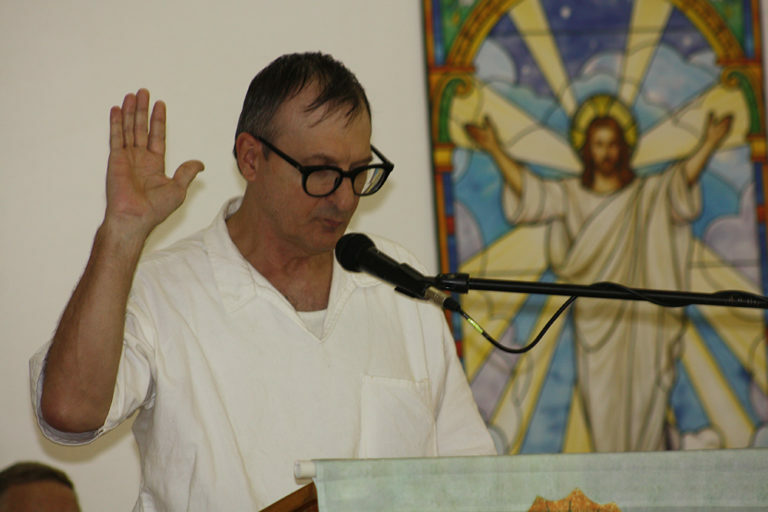 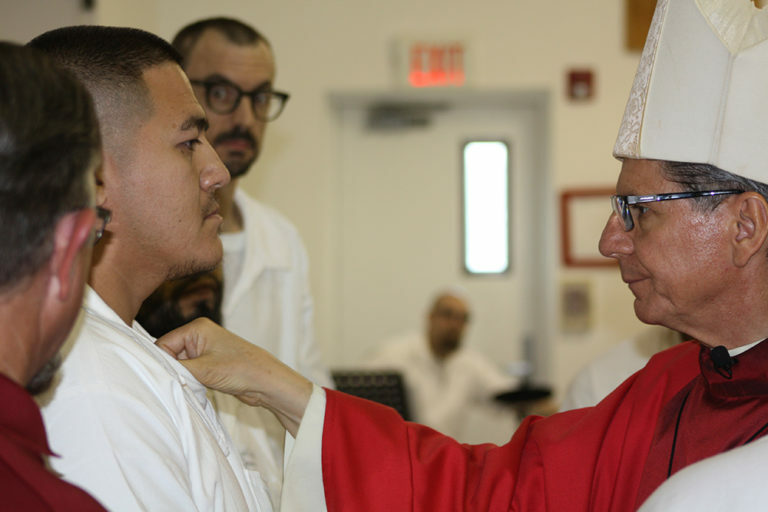 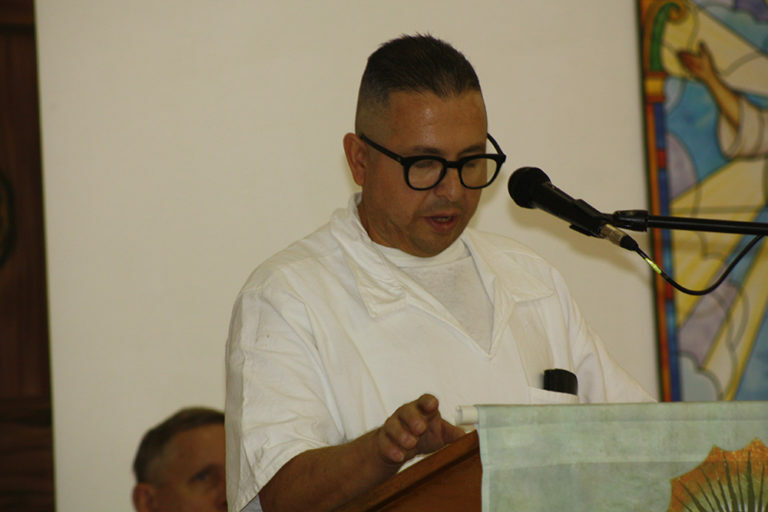 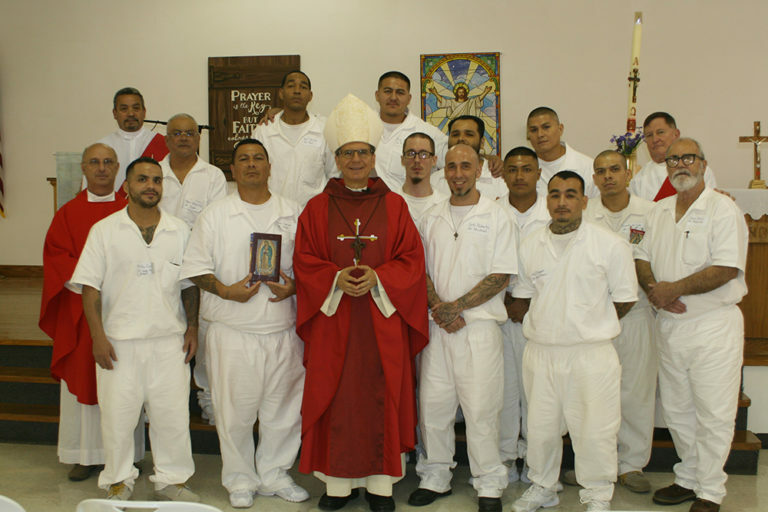 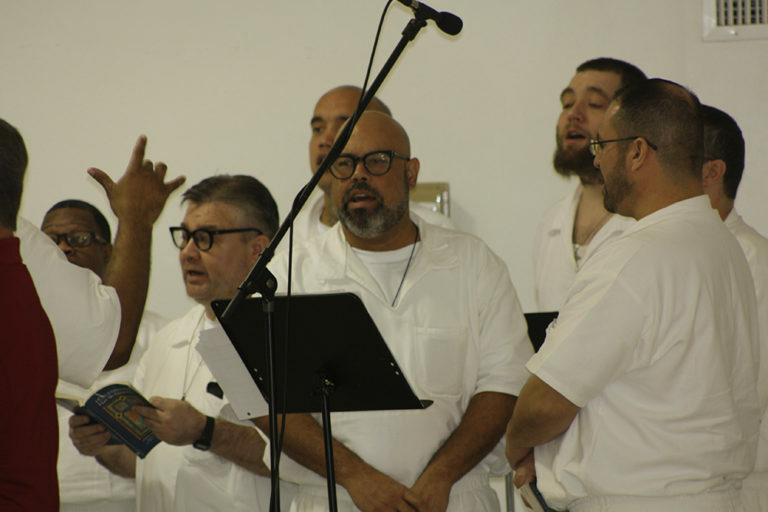 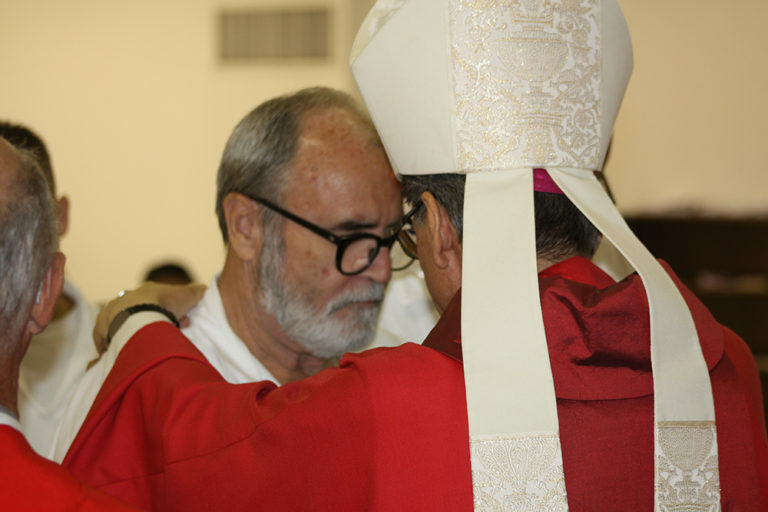 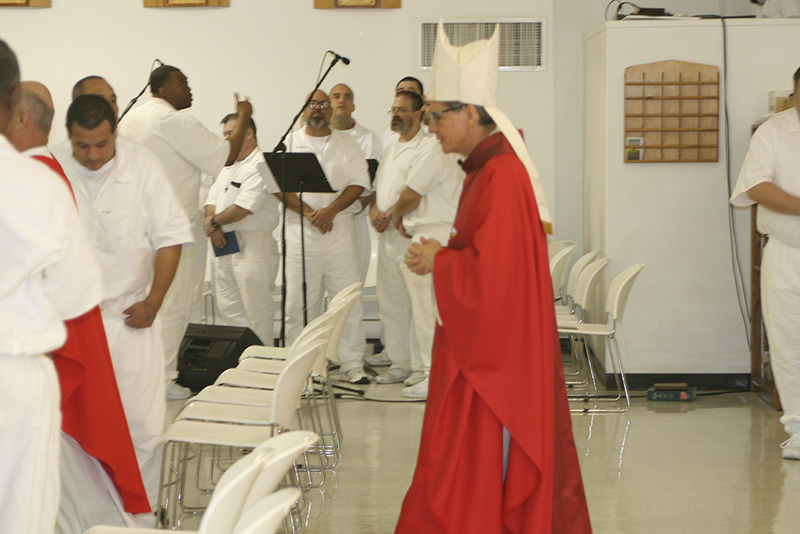 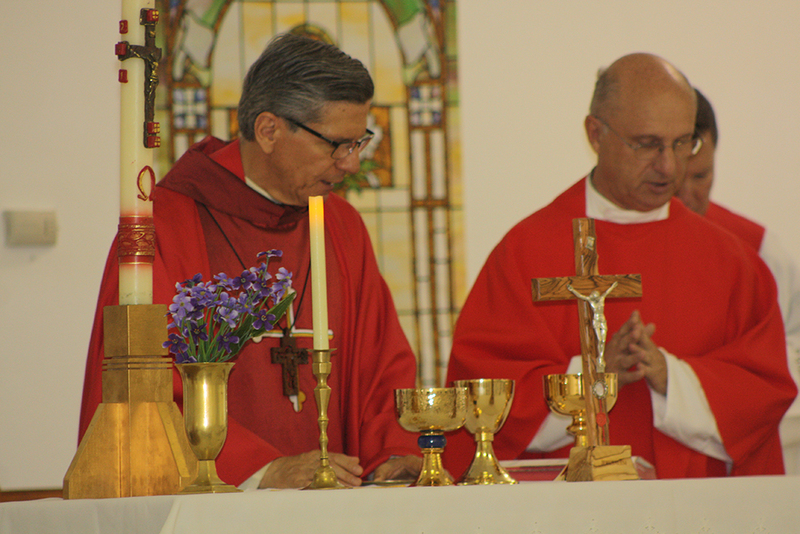 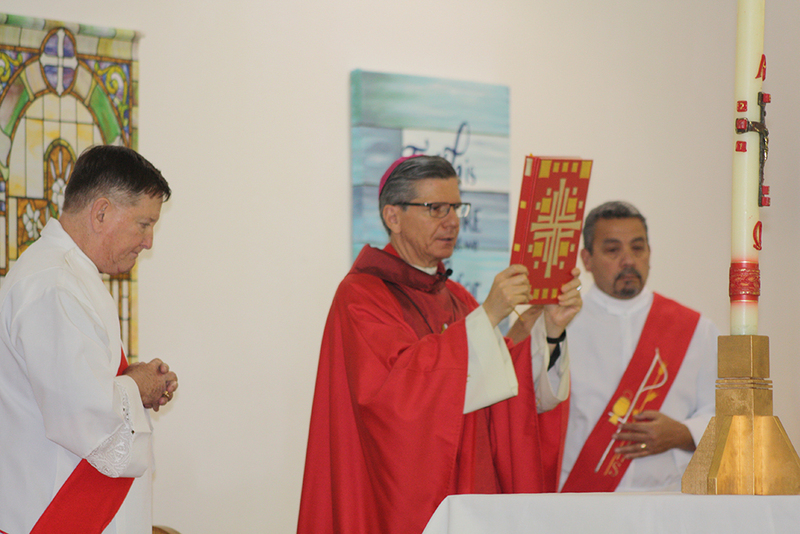 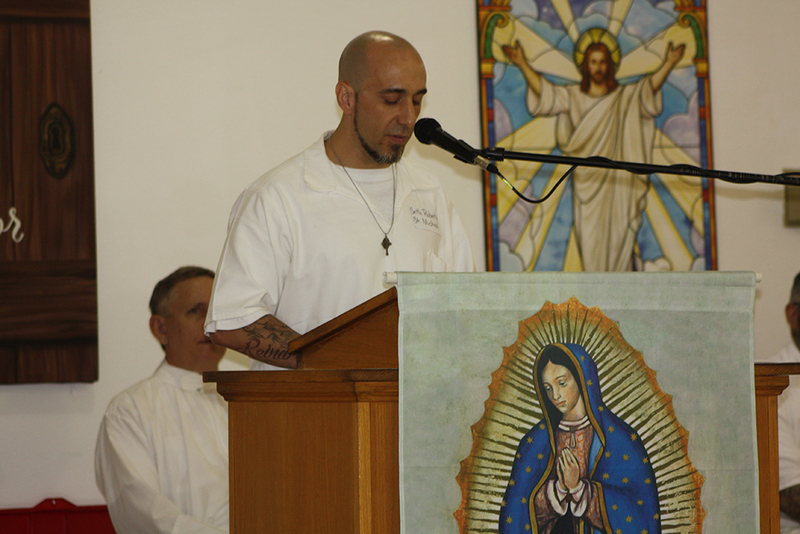 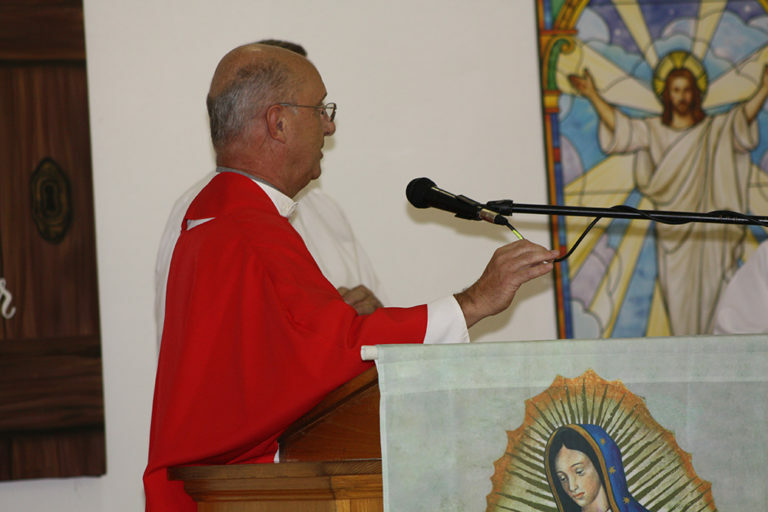 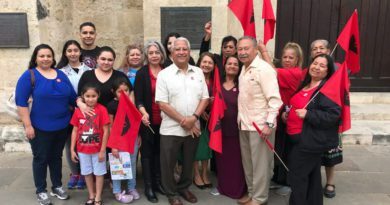 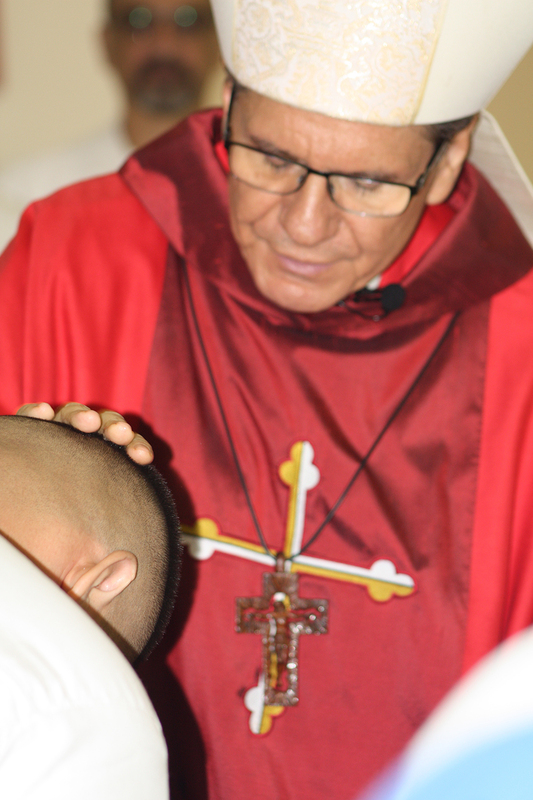 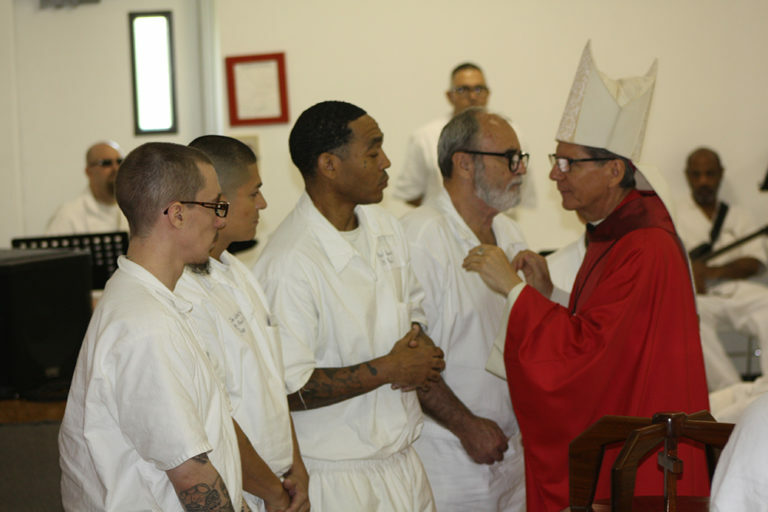 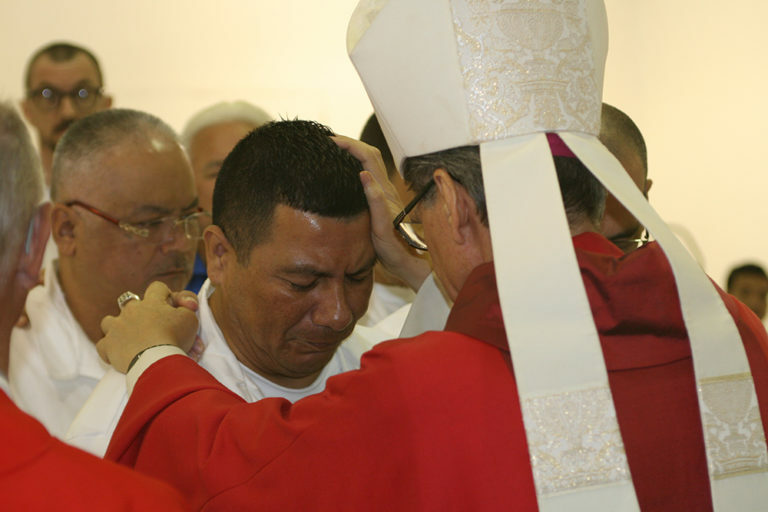 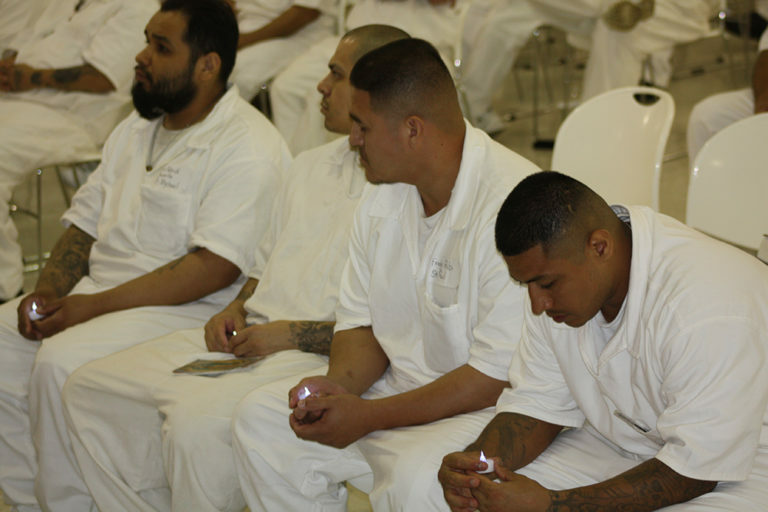 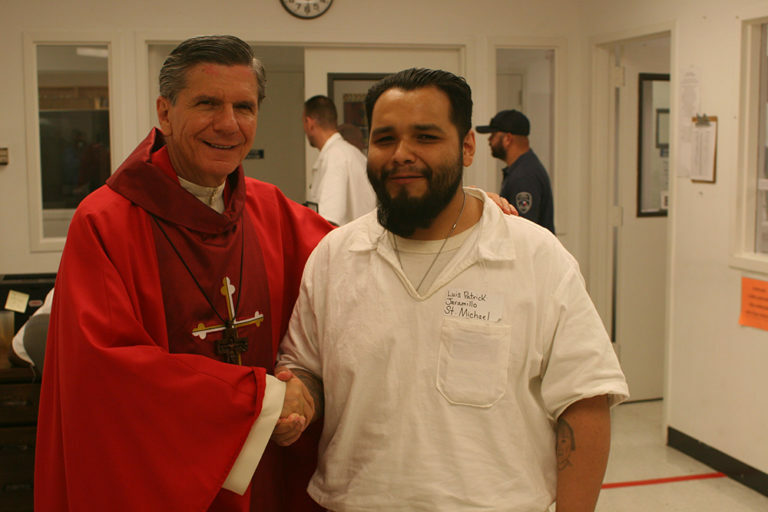 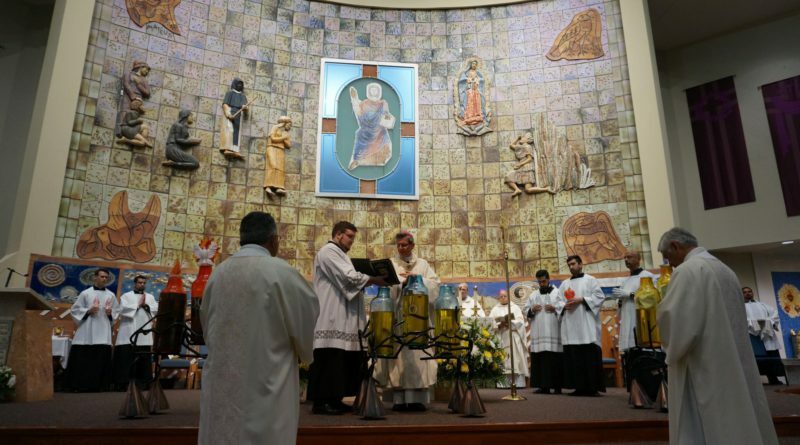 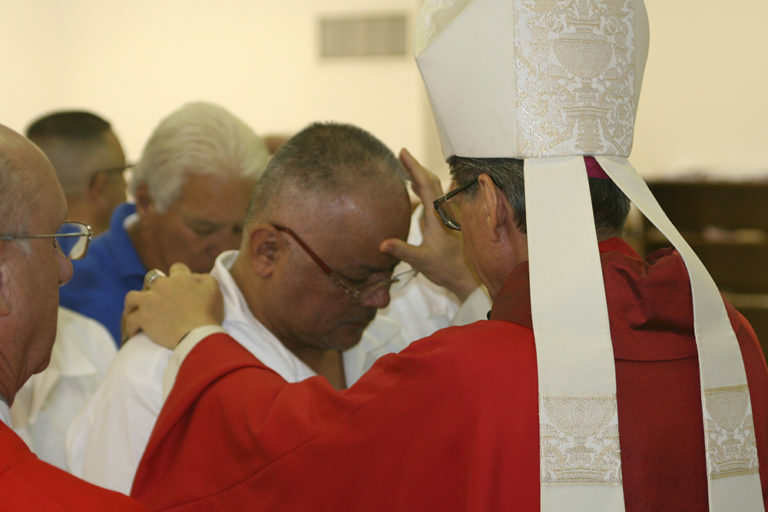 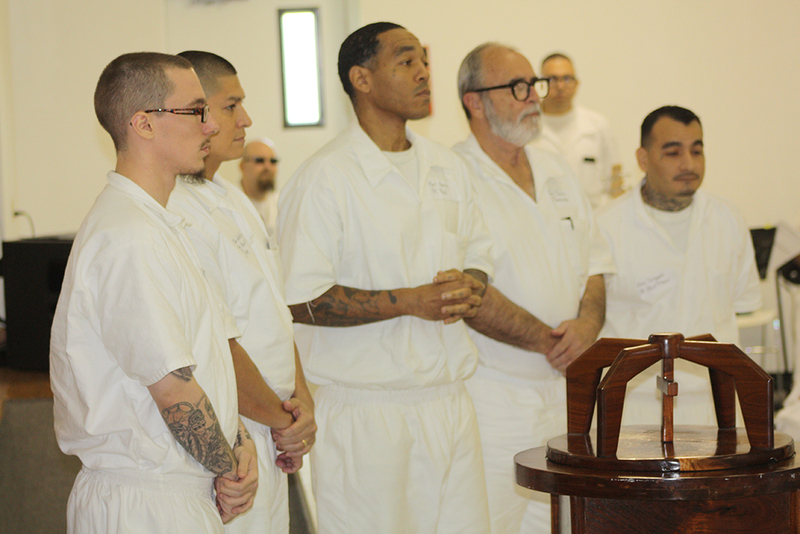 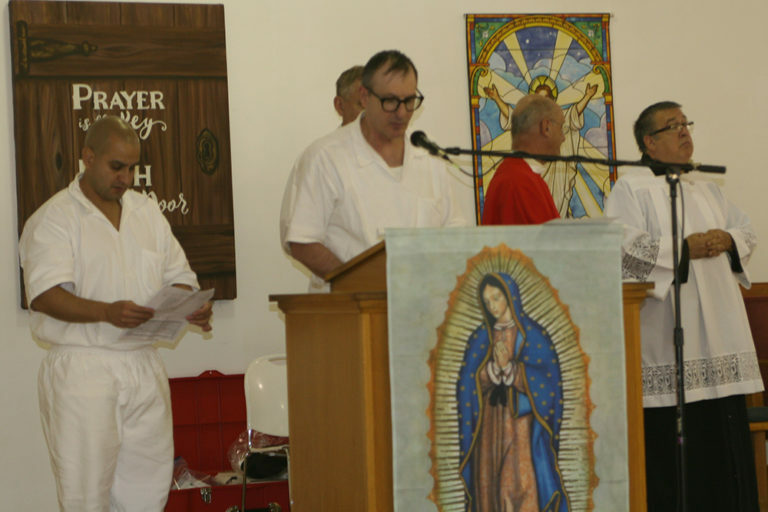 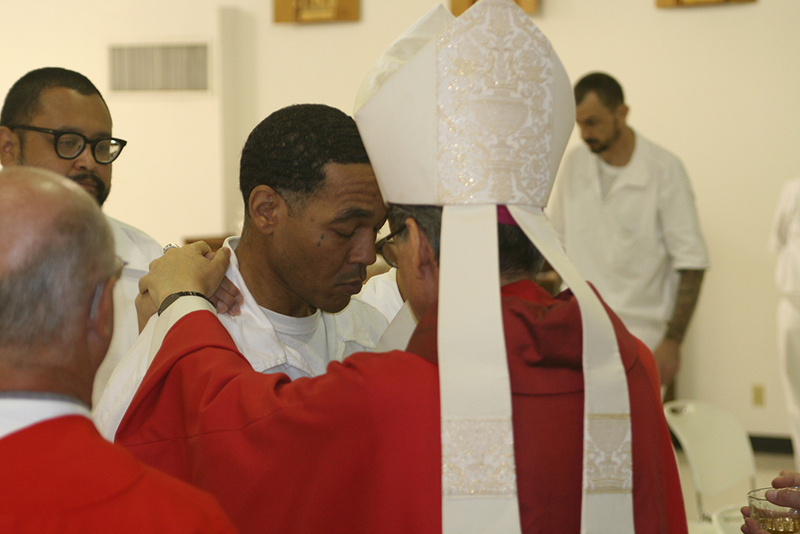 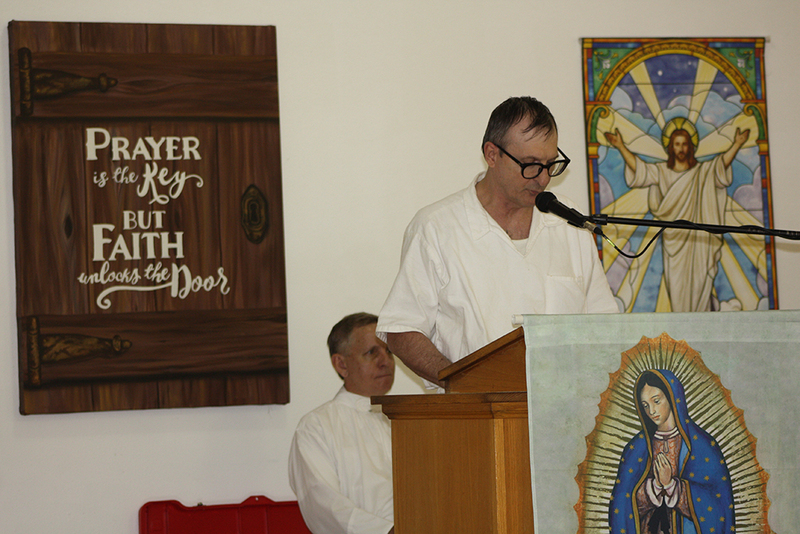 Archbishop Gustavo García-Siller, MSpS, celebrated Mass in the Chapel of Hope at the Texas Department of Corrections John B. Connally Unit in Kenedy on Sept. 24. 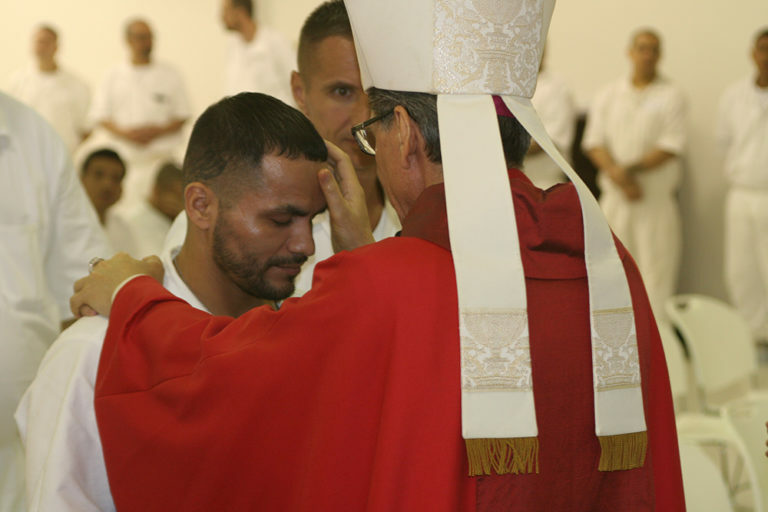 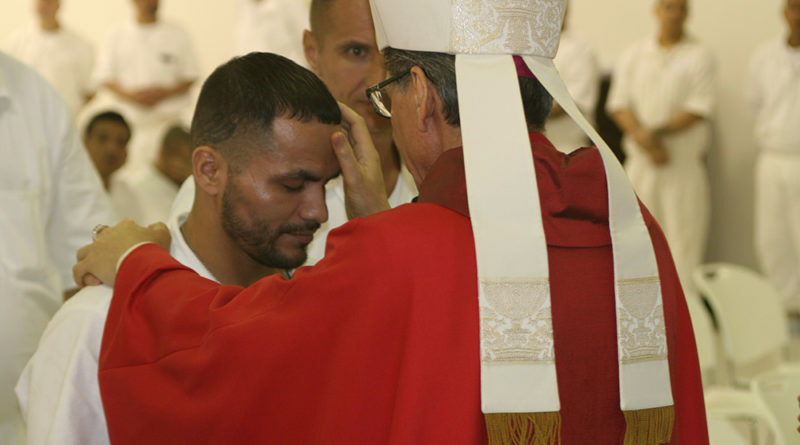 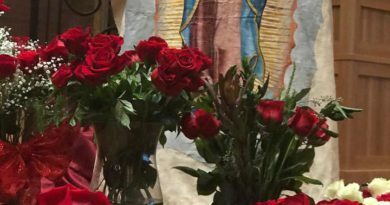 At the liturgy he conferred the sacraments of initiation; baptism, First Communion, and confirmation on more than a dozen men at the facility. 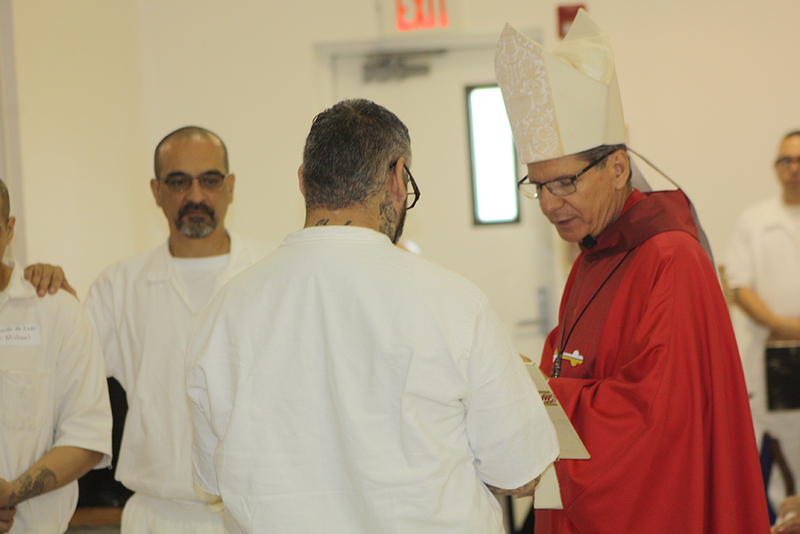 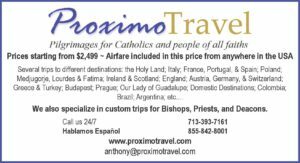 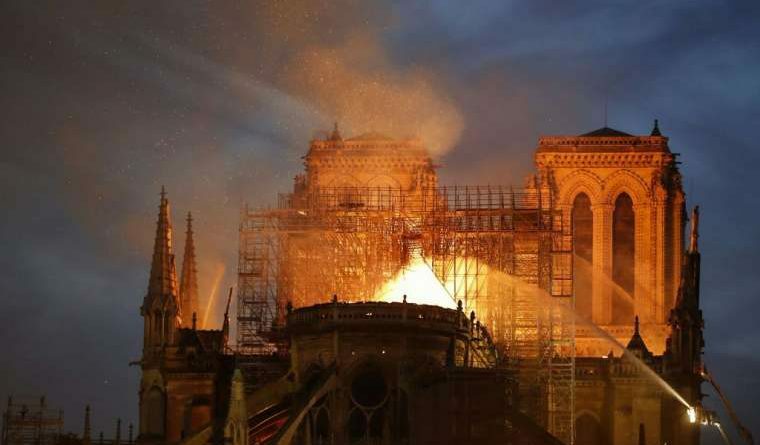 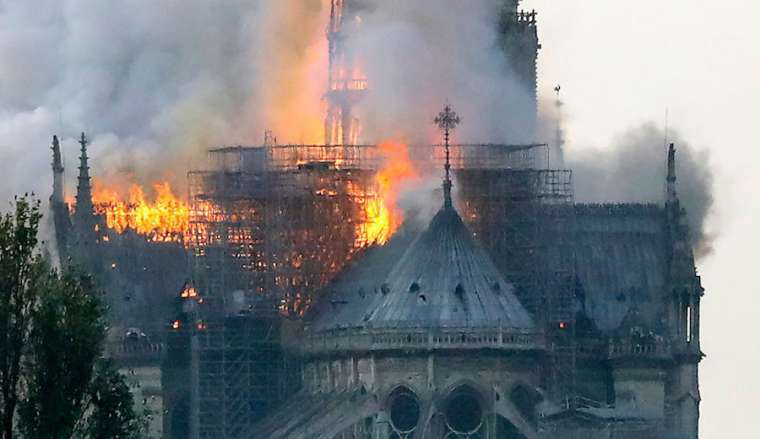 The archbishop was assisted at the altar by Deacon Bob Leibrecht, director of Criminal Justice Ministry for the archdiocese; Father Norbert H. Herman; and Deacon Michael Velasquez.